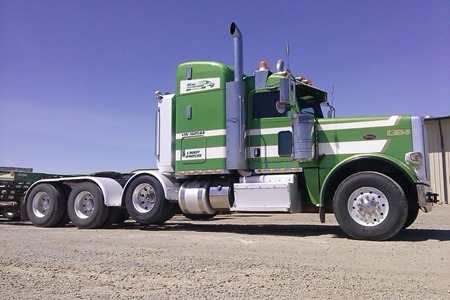 Reliable Trucking for Over 40 Years. Trucking & Crane Service You Can Trust! Maga Trucking & Repair, Inc. is proud to be a family-owned and -operated trucking service, dedicated to placing customer satisfaction above all else. We’ve provided a wide variety of trucking services across Nevada and the surrounding region for the past 45 years, giving us a depth of experience when it comes to satisfying the demands of our customers, both new and returning. If your truck and trailer are in need of repair, we’re even here to administer corrective service. Our shop carries parts for all major truck brands, to make sure our expert repairs are top-notch in quality and consistency. Tires showing signs of age? We’re here to help keep your treads road-ready too! Maga Trucking & Repair, Inc. specializes in oversize trucking and crane service, working with a wide variety of customers. Whether you’re in the mining, construction, agricultural or industrial industries, we can help haul your equipment to and from jobsites. We’re used to handling delicate machinery and transporting oversized items that are tens of thousands of pounds. Our careful approach to handling and logistics gives our customers the peace of mind they deserve when it comes to trusting us for flatbed trucking, crane transport or other heavy hauling trucking services. You won’t find a more experienced, accommodating trucking company in Nevada! Tires, cranes and semi trucks—our work covers a wide variety of trucking needs. We’re here when you call. If you have an emergency, we’ll work quickly to assist you. Our trailers can carry up to 200,000 pounds. 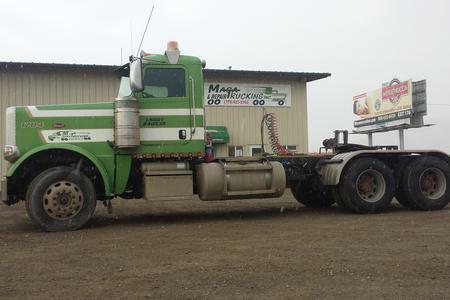 We carry parts for all major truck brands when your rig needs repairs or maintenance. Our customers include a wide variety of industries, including mining, construction and industrial. Our services are just as diverse as our customers. Call us today to learn how you can experience Nevada’s premier trucking services.